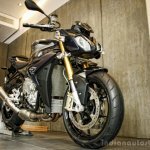 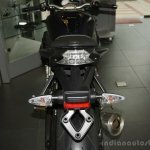 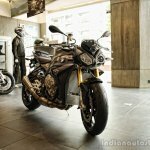 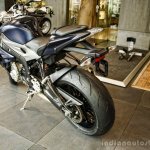 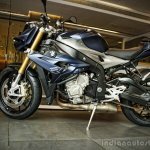 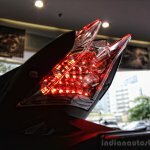 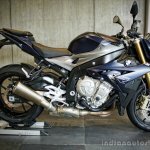 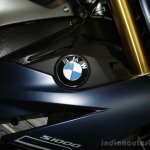 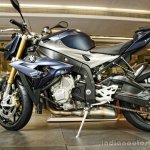 The BMW S1000R has been launched in India through the CBU route. 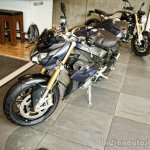 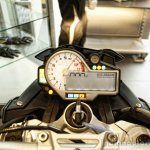 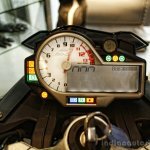 The street-naked motorcycle that looks like a stripped-down variant of the S1000RR (featured in the Bollywood movie Dhoom) is priced at INR 22.83 lakh (ex-showroom, Mumbai). 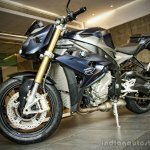 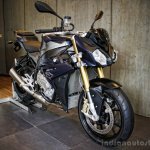 The BMW S1000R is brought to India via the CBU route and is sold by dealerships in Mumbai, Bangalore and Delhi. 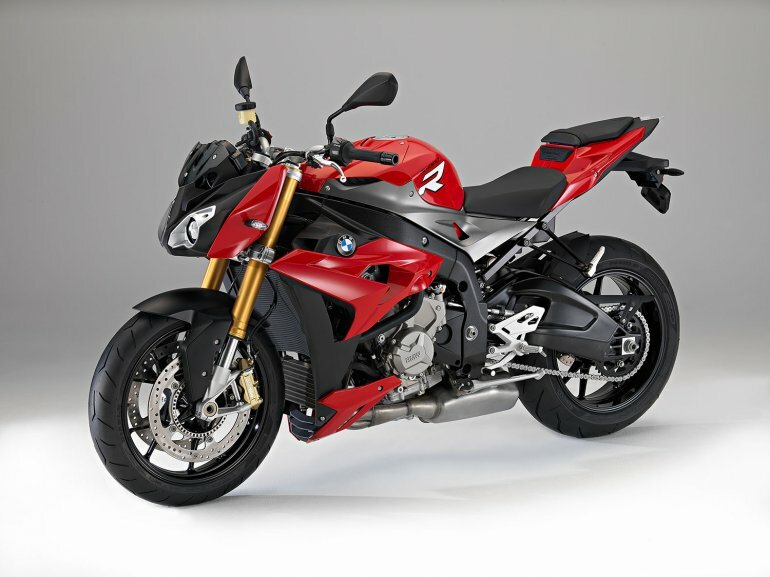 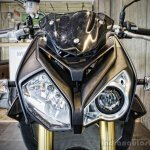 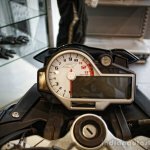 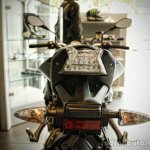 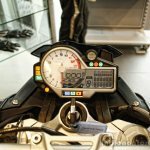 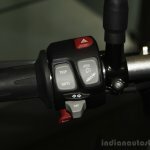 Key design elements on the S1000R are retained from the S1000RR. 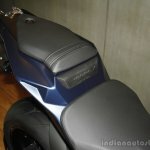 Visually differentiating the two models are the radiator shrouds that sit in place of the fairing, partly covering the engine. 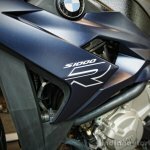 The S1000R uses the same powerplant as the RR, but in a dialed-down state. 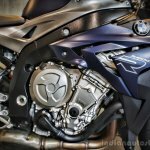 The four-stroke, 999cc, liquid/oil-cooled, in-line four-cylinder mill produces 160 bhp @ 11,000 rpm and 11.4 kgm @ 9,250 rpm. 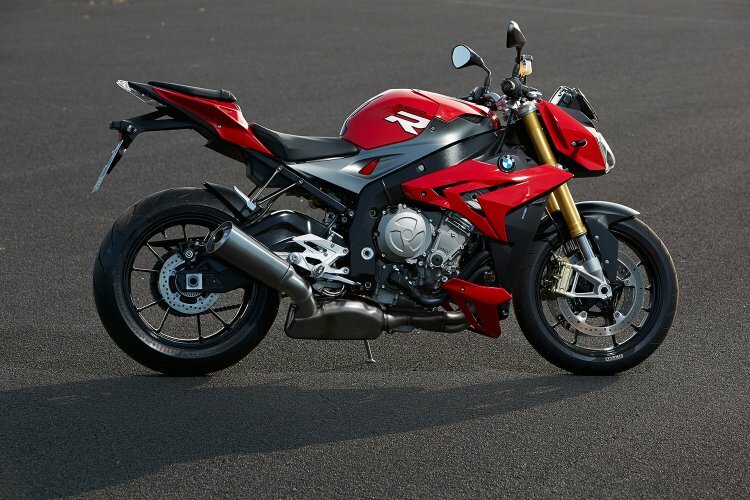 This is about 33 bhp lesser than the RR and peak torque is delivered at 500 revs lower than the race version. 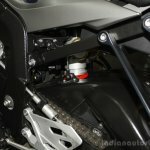 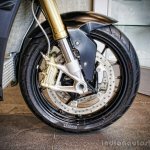 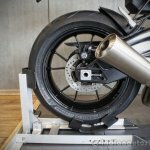 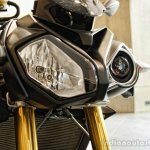 The motorcycle weighs 207 kilograms, and is built on an aluminium frame, with upside-down telescopic forks at the front and a monoshock at the rear linked to an alloy swingarm. 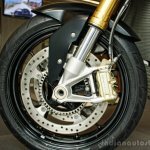 Stopping power is provided by 320mm front discs and a 220mm rear disc with switchable ABS coming standard. 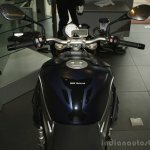 The S1000R is available in blue, red and white, and the waiting period in India, depending on the color, stretches from a week to a month.